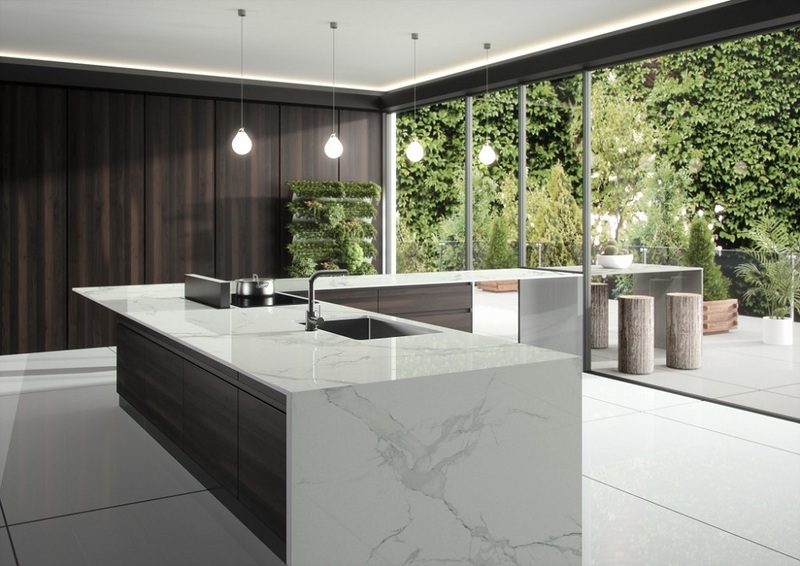 So you’ve made that decision – ‘I want to have granite worktops or quartz worktops!’ And now there will be several things running through your mind. Which stone should I go for? At Everything Stone we supply all the main brands of stone from around the world. Lapitec http://lapitec.co. 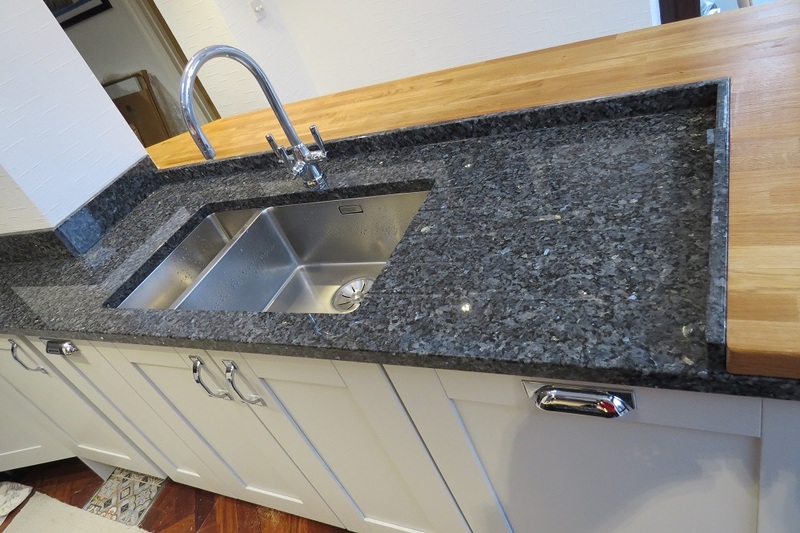 Blue Pearl granite worktops can offer real character in your kitchen. For the best quality, this granite is quarried in Norway, and is among some of the best quality stones from around the world. 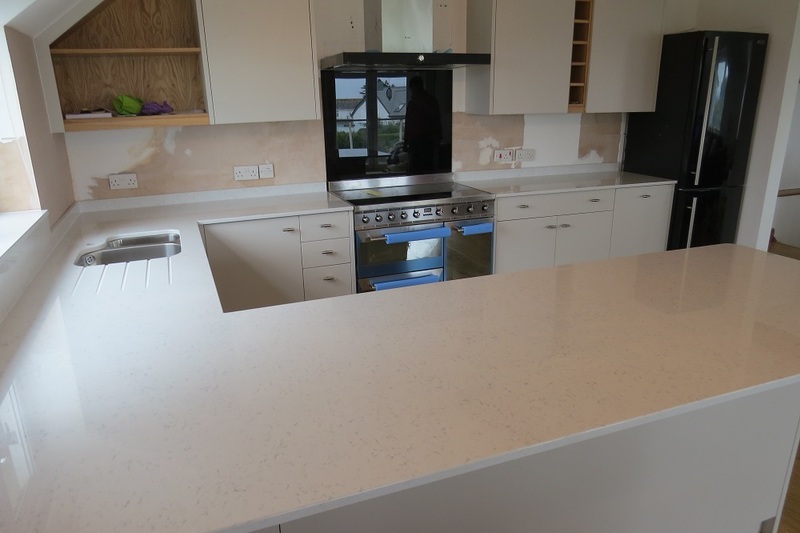 We supply this granite in different thicknesses, shades and finishes. 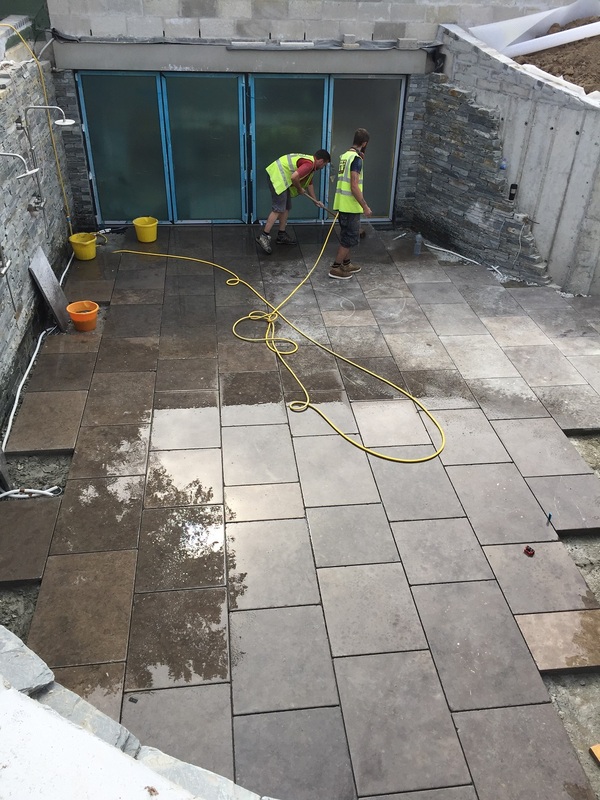 We started installing limestone paving in the court yard garden today. We are using a wet sand and cement (4:1) mortar bed to lay this limestone paving. We also apply an SBR slurry mix to the back of the paving slab to ensure bonding between the mortar bed the limestone paving slab. We have started a project between Rock and Padstow. 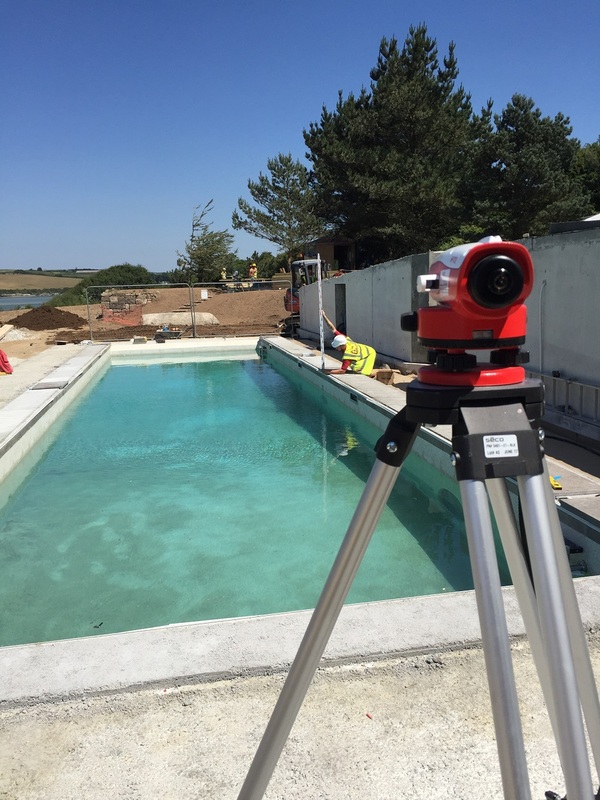 We will be installing limestone tiles, limestone copings and limestone paving around a swimming pool. Our first job is to install battens around the perimeter walls of the pool and install the limestone tiles. We have now completed the installation of sandstone paving, and set to work pointing the joints. We are using GftK joint mortar gftk-international.com which is really easy to use and produces a decent finish without having to touch the mortar during application. 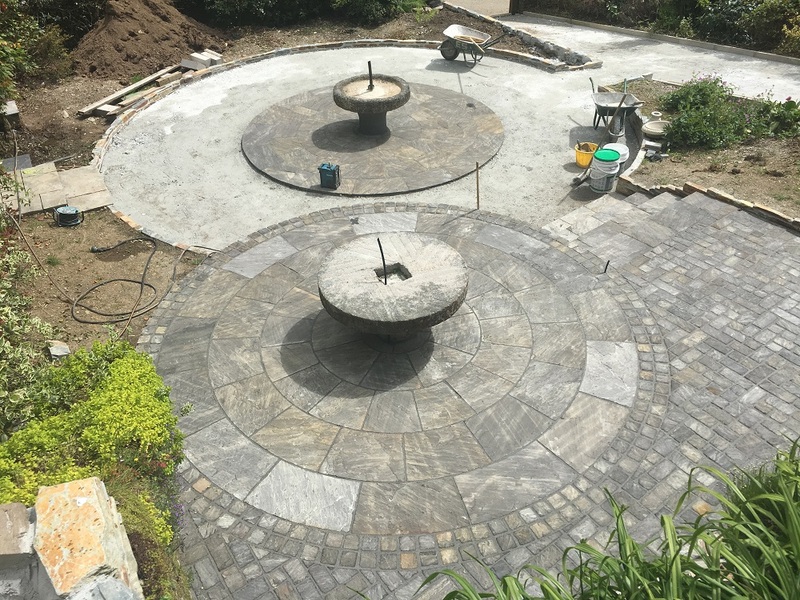 The Plan up by the main house is to create two new circular patio areas around the lower lawn area and a new patio area with main entrance path up by the main house. 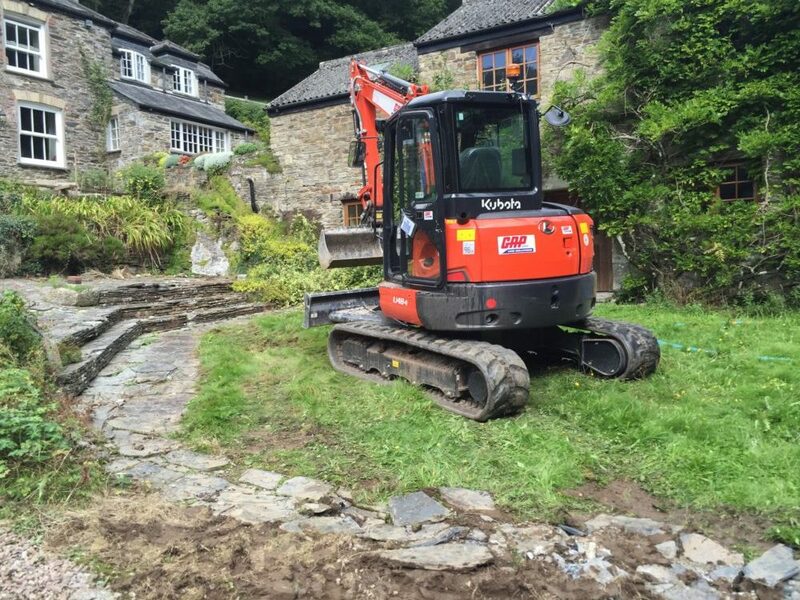 So whilst works were progressing in the river, we started to clear the area up by the main house. Our first job on this project was to protect the river bank from further erosion. 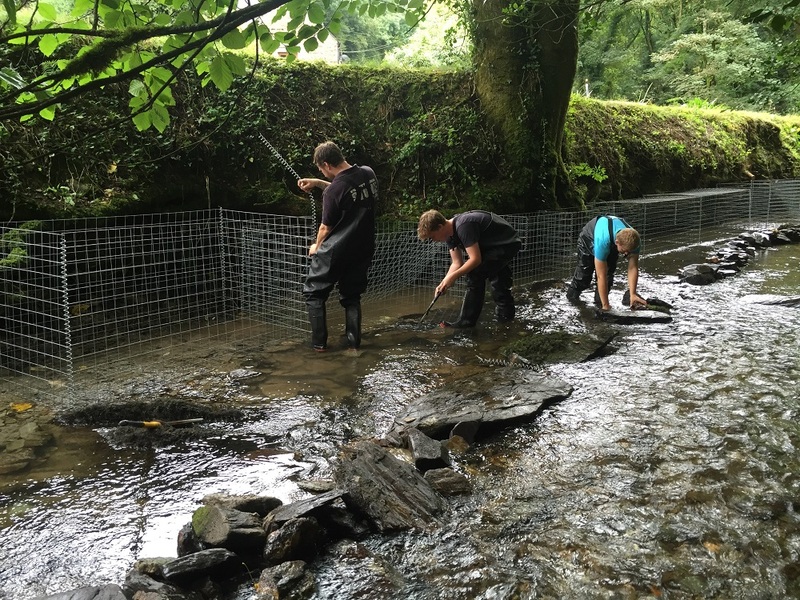 So after a lot of deliberation with the customer, we decided to use gabion baskets at the foot of the river bank. Our first job was to clear the foot of the bank from stones and large rocks. 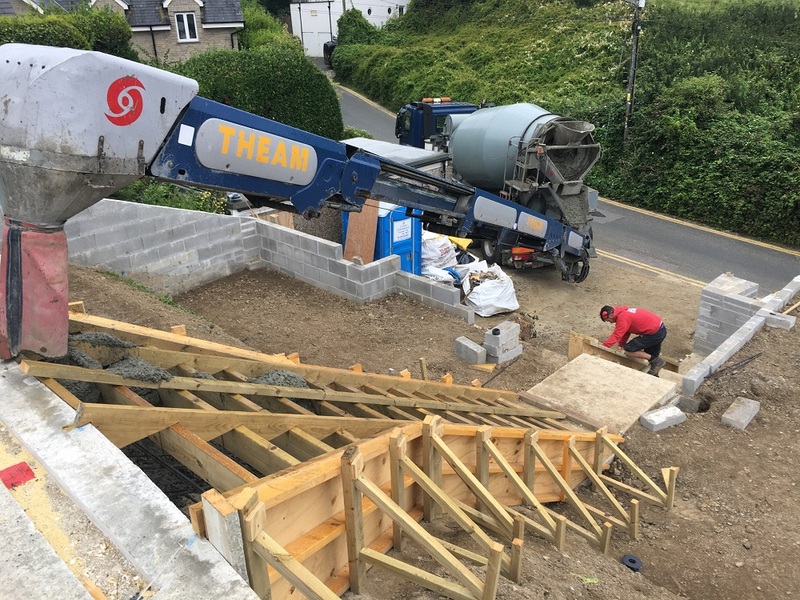 Time to concrete the main flight of steps leading up to the top terrace. We use Faheys Concrete who are based down the road from our offices and showrooms at Par. And they have a long reach conveyor which makes our life on a site like this much easier. Photos 1 Now time to screed the balcony deck. We use two layers of wax builders paper to separate the existing balcony deck substrate from the cementitious screed. 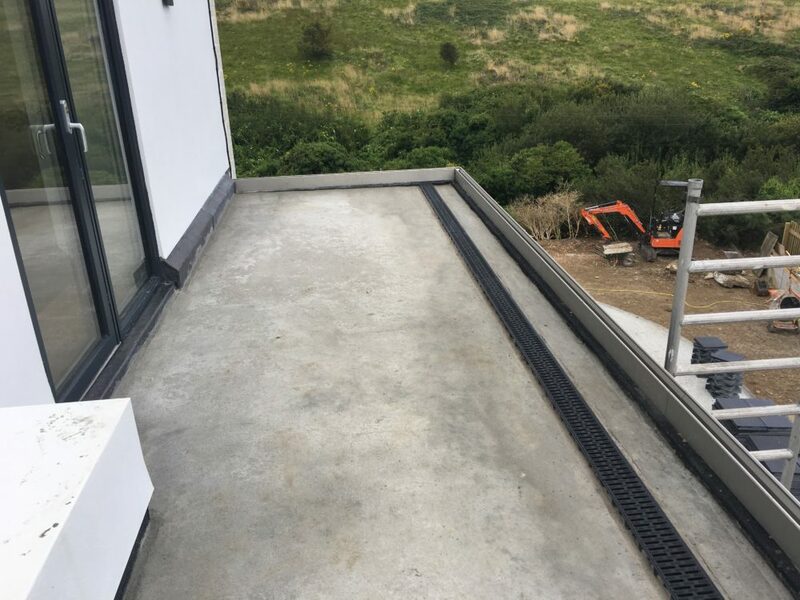 We also install insulation around the perimeter of the balcony which is removed after screeding and filled with a weak 10:1 sand and cement.